Saturday, October 27, 2018 7:30 p.m.
Sisters Tanya (lead guitar) and Torie Bryant (rhythm guitar) grew up singing and strumming together at their mom’s horse farm in Leverett. Now in their 50’s, they decided to pull a band together two years ago with keyboard player Margaret Fitzpatrick. Tanya was determined to create an all female group to roll out original tunes that the three were writing. Two additional members, Nina Rossi (bass), and Gail Hegeman (drums), have joined them and added their own songs, lyrics, and rhythms to make a truly unique mix. 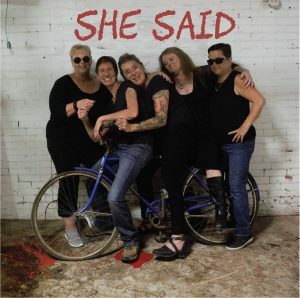 With hard work, luck, and natural talent, their dream of performing and recording came true, and the five member band of She Said is preparing to release their first CD by late November. 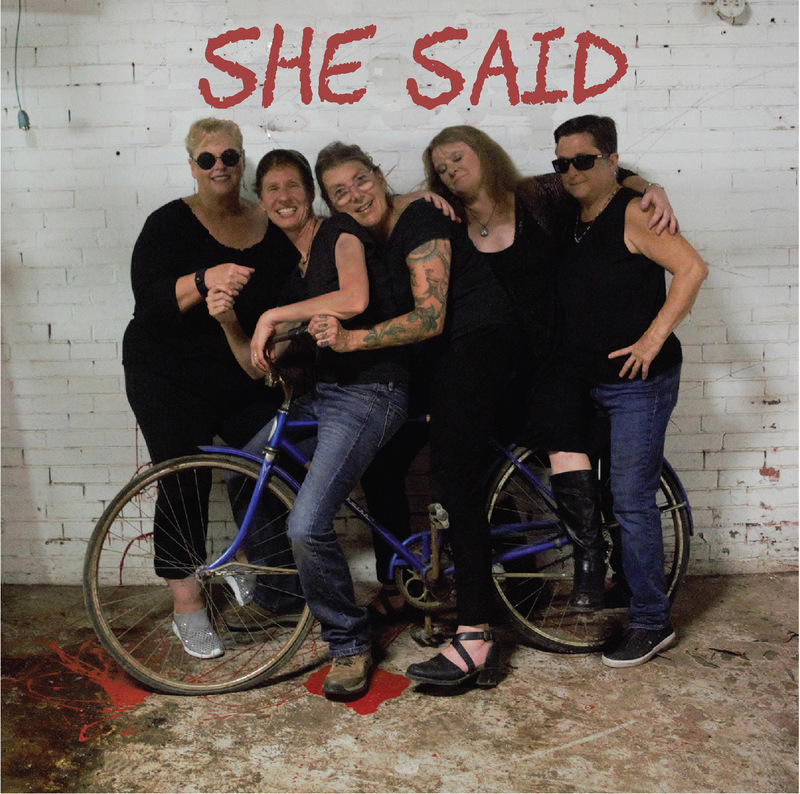 Audiences have responded enthusiastically to She Said’s catchy lyrics and danceable songs, as well as the vibe created when five women, all over 50, finally get a chance to rock it on stage! 151 mySQL queries in 0.552 seconds.